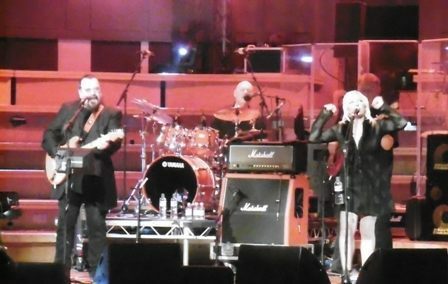 It doesn't take Roy Wood long to get a party going – just a few bars into opening song, California Man, and the near-sold out Symphony Hall is singing along. The music of the ex-Move, Wizzard and Electric Light Orchestra star makes everyone feel good, just what you want at Christmas. Fire Brigade, Angel Fingers and I Can Hear The Grass Grow were performed with aplomb by Roy and his Rock & Roll Band, singer Shell Naylor, keyboardist Danny McCormack, bassist Neil Simpson, drummer Roy Adams and a superb four-piece brass section. Could it get any better? Yes it could! 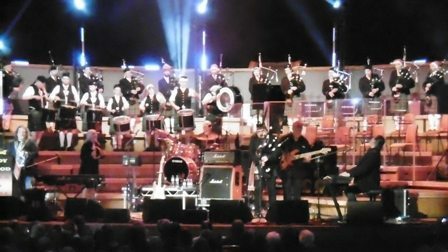 Near the end of Are You Ready To Rock Roy leaves the stage, only to return playing bagpipes and accompanied by the massed ranks of the Birmingham Irish Pipe Band and the West Midlands Fire Brigade Pipe Band. Well we were promised surprises! A roof-raising See My Baby Jive heralds the arrival of special guests Chas & Dave for a handful of their hits, including Rabbit, Ain't No Pleasing You and The Sideboard Song. 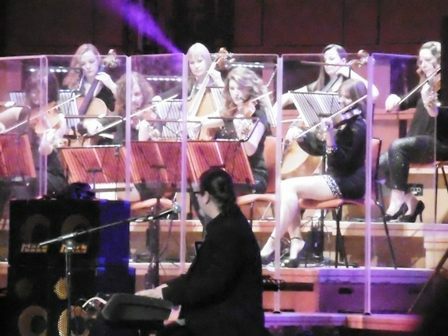 For me, it's then the highlight of the show as the on-stage musicians are joined by Enigma Strings, all graduates of Birmingham Conservatoire, for The Move classics Flowers in the Rain and Blackberry Way. 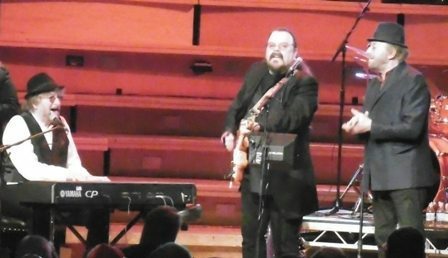 The string arrangements were superb – here's an idea: an album of Roy Wood songs performed by his Rock & Roll Band and Enigma Strings! Finally, it was the song everyone was waiting for – I Wish It Could Be Christmas Everyday which got the audience to its feet and cheering for more. 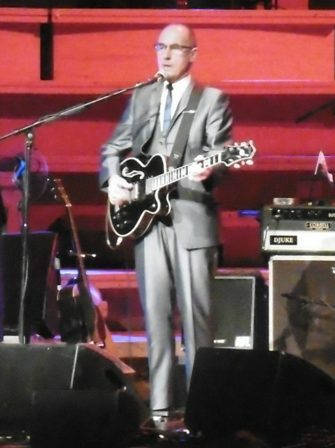 Those who had arrived early – which was practically everyone – were treated to a super support set from Andy Fairweather Low and the Low Riders. The 68-year-old seemed genuinely surprised to find an almost full auditorium ready to enjoy his bluesy, soulful rock & roll. ''Most people are in the bar for the opening act,'' he quipped. Highlights? A great instrumental tribute section and (Get Your Kicks On) Route 66 the song that inspired Andy to pursue a career in music after seeing Keith Richards perform it with the Rolling Stones in 1964. 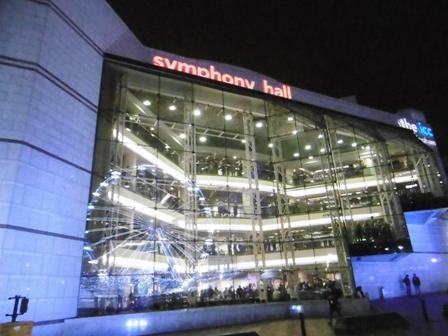 Let's not forget the show's other warm-up act, comedian and former Britain's Got Talent contestant Kev Orkian whose 15 minutes of Symphony Hall fame was funny and very clever. He's been around for a few years now, appearing in pantomimes and in musicals, and deserves to be more well-known. 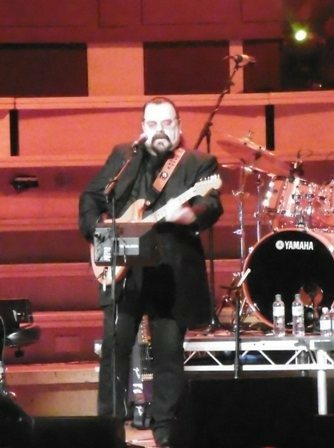 Roy Wood's Rock & Roll Band complete their Christmas tour at Doncaster Dome on December 23. Why? Because we wish it could be Christmas every day!